· A new hotel in a quiet location yet just a few minutes walk from the main street and beach. Bed and breakfast and half board is available. · A large pool with separate children's area and pool side bar serving snacks. · The rooms are large and decorated to a high standard, each having en-suite facilities, air conditioning, TV, sofa, minibar and balcony / terrace. Ocakköy is another special property due to its location and atmosphere. It’s a beautifully presented collection of tastefully renovated stone cottages set over a large area of rural farmland on the outskirts of Ovacik. The views across the unspoilt countryside are fabulous and you would never guess that you were only a short distance from the hustle and bustle of Hisaronu and Olu Deniz. Ocakkoys history is interesting, it has for years been the second home to those looking for an uncommercial retreat or to walk the many trails in the vicinity. Its built around the ruins of an abandoned hamlet almost a century ago. 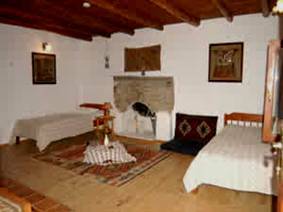 Each cottage is individually designed and restored and has great character. There are 29 cottages in total that all vary slightly in size and décor. 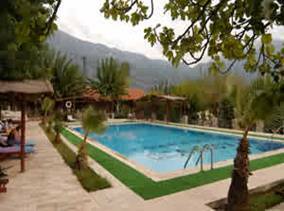 Some are detached, others adjoining, all sharing vast communal areas including a traditional restaurant, 2 bars and 3 pools, 2 that were original and are designated adults only and one that’s shallow for the little people. There are many places offering sun and shade and both hidden and communal seating areas for those wishing to read or just to get away from it all. There is the option to take a cottage on a bed and breakfast basis (cost paid locally) or to purely self-cater, its up to you. 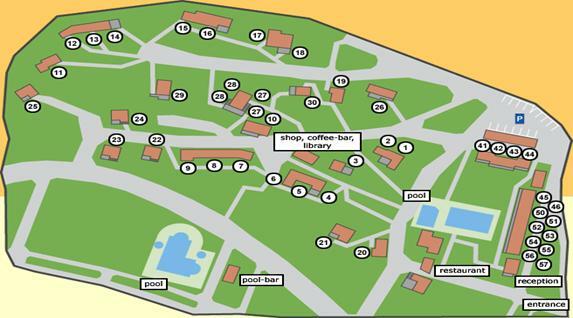 ACTIVITIES: Walking, Swimming and all that the local resorts offer.